Great Expectations - Planning for Retirement | Valet. 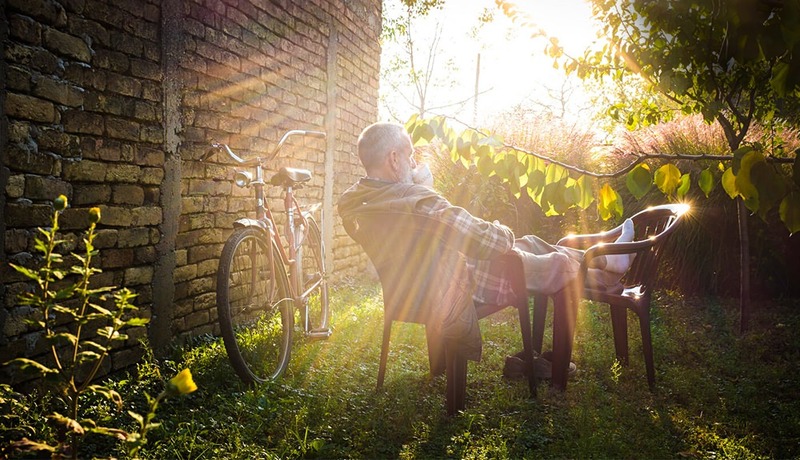 Are you making the trade-offs you need to live your retirement dream? Throughout her career as an executive director of senior living communities, Marion Shackford noticed a concerning scenario play out time and time again—new residents were moving to assisted living communities due to preventable injuries that made living in their own homes impossible. In her own retirement, Shackford decided, she would start a business that would help retirees redesign their homes so they could stay in them longer. Shackford understood that starting a new business would require a significant investment, so she began preparing years in advance. She started by maximizing her retirement account contributions and then refinanced her home in order to pay it off by her target retirement date. She also passed on taking vacations that called for expensive air travel, cut back on clothing purchases and put off buying a new car for as long as possible. Shackford, 67, retired last year and set to work launching her new business, Adaptive Home Environments. The savings she amassed during her working years funded continuing education classes that allowed her to obtain new professional certifications. She also used the money to build a website to promote her company. Now she spends her days drumming up business—and her spare time hiking, biking, kayaking, volunteering, and visiting family and friends. "I've always viewed retirement as a new journey, a new adventure," she says. "Not just a time to play golf or have lunch with your girlfriends. It's a time to take some risks, learn new things and also make a difference in the world." Today, Baby Boomers like Shackford expect to live longer and stay healthier than their parents did, says Marcy Keckler, CRPC®, CFP®, vice president, financial advice strategy at Ameriprise Financial. As a result, they have greater expectations for their retirement years. And for the ever-larger number of people living 25 or more years into retirement, there's a whole new life ahead of them. "It's critical that people planning for retirement think beyond the numbers," Keckler says. "They also need to think about how they will spend their days—what their new identity will be. It can help them retain the sense of purpose that you can lose when you stop working or raising a family." Planning your retirement has big financial implications. Many new pursuits—travel, buying a second home, expensive hobbies—require significant monetary layouts. And that may require making lifestyle trade-offs in your pre-retirement years in order to afford them later on, as Shackford did. What's going on here? In a recent Ameriprise survey, 75 percent of respondents described themselves as "savers" and almost all said they had cut back on expenses to save for the future.2 But they were much more likely to save on small-ticket items than on big-ticket expenses like rent, a mortgage or college educations. To make their retirement dreams a reality, more Americans will need to make bigger trade-offs. And a financial advisor could help. "A good financial advisor will learn not only about your needs and your goals for retirement, but also about your values," says Mike Greene, CFP®, senior vice president of financial advice at Ameriprise. "As professionals, they can look at the projections and help you determine whether or not you're on track financially to achieve your goals. But they can also help you explore your values so that if you have to make trade-offs, you can see them as expressions of your values, rather than as painful budgeting decisions." A strong sense of values was instrumental in Kate and Iain Gilbert's ability to live out their retirement dreams—and to retire in their late 40s. In 2014, the Gilberts sold their home, sold or gave away most of their possessions, and moved into an Airstream RV. Since then, the couple has lived on the road, documenting their U.S. and international travels on a blog and even writing a book about the transition. Before embarking on their retirement adventure, the Gilberts were successful professionals, who both grew up in working-class households, so they knew how to do more with less. As their colleagues bought bigger houses and luxury cars, they stayed modest; at the time of their retirement, they lived in a San Diego condominium and shared a single vehicle. When the couple reached their mid-40s, they wearied of what they described as the stress and insecurity of corporate life. Based on their financial situation at the time, they understood that they were on track to retire comfortably in their late 50s or early 60s. But that felt very far away. They came up with a new idea: If they sold their home and no longer had to worry about a mortgage, property taxes, utilities, a cable bill and more, could they retire now? The answer: Absolutely. "When people learn we retired before 50, they think we won the lottery, or that we're millionaires," Kate says. "It's not true. We worked hard and we saved up a lot of our earnings over a long period of time. But we also dramatically reduced our expenses." What others might call trade-offs, the Gilberts would call a decision about values. Retiring early meant valuing some things—travel and togetherness—over others—a pricey home and permanency. "If you can decide what you really want from retirement, there could be a way to make it happen," Keckler says. 1 U.S. Government Accountability Office, "Retirement Security: Most Households Approaching Retirement Have Low Savings," May 2015. 2 Ameriprise Financial Trade-Offs Study, March 2014. Marion Shackford and Adaptive Home Environments are not affiliated with Ameriprise Financial. Certified Financial Planner Board of Standards Inc. owns the certification marks CFP®, CERTIFIED FINANCIAL PLANNER™ and CFP (with flame design) in the U.S.